Hello Dear Reader! The PASS Board of Director elections are upon us again. We have 3 spots open and 4 great candidates. A lot has been written about this election already. Andy Warren has sounded off, Brent Ozar as well. There are blogs by the candidates and many others. While we are all waiting to get into the website to vote, here's who I'm voting for and why. 1. JRJ aka James Rowland Jones. James is energetic, incredibly knowledgeable, and a pleasure to hang around. James has done a lot of work expanding and evangelizing for SQL Server on the international front. He helps head up SQLBits and I love the idea of a FREE & PAID conference combined. I'm hoping that we can adopt some model of that in the U.S.
James is a flat out leader in this field of IT/SQL Server/Microsoft Consulting. STOP SCREAMING INTERNET. Before people go "OF COURSE, SHE WORKS FOR PRAGMATIC" stop. If that is all you think of what I write, stop reading. Being in IT as long as I have the way someone's mind works is incredibly important to me. I work with Wendy, I've interviewed her. I also encouraged her NOT to run for the board. That's right Dear Reader not to run. She has a wonderful enthusiasm. She is thoughtful, and she truly believes that she can make a difference and told me so when I encouraged her not to run. I like the work that Wendy has done for the community. The first part of victory is wanting something. She does. I may never run for the board but, in the conversations she and I have shared I have no doubt PASS is a better organization with her there. I know Grant, I like him quite a bit. Met him at SQL Rally in 2011 when he did his first pre-con. I've seen him at conferences, presenting, and talked about everything from SQL, presenting advice, to cleaning shot gun's vs. sharpening swords to intimidate boys coming to date a teenage daughter. It's safe to say I like him. But why do I think he would be good on the PASS Board? Grant is an optimistic, enthusiastic, realist and when we talk I can't help but think he's somebody I would want to work with or work for. He is passionate at the right times, and he clearly explains what is on his mind and the way his decisions work. The most important thing to me is how someone's mind works. He's a DBA, but he has taught pre-con's on Azure, he has looked at Big Data, he doesn't shy away from learning and tackling new things. Plus the man produces a damn fine book on Performance Tuning. I'm looking forward to seeing what he can do on the board. Alright Dear Reader. I don't expect to convince you, this is just who I'm supporting and a short reason why. The thing you do not see in this post is the hours, meals, and conversations I've had over time. All of that adds up. I'm lucky to know these 3 people. PASS would be lucky to have them. A long time ago before I got involved I thought the Speakers ran PASS. 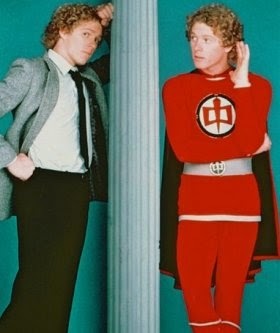 It never occurred to me that the public face of PASS was not who ran the show. I've been very happy the last couple of years with the additions to the board. I'm excited to see these Speakers stepping up to help. If you have a ballot to vote please do. Good Luck to all of the Candidates! As always Dear Reader, Thanks for stopping by. Hello Dear Reader! In June this year I was recognized by PASS as with an Outstanding Volunteer Award. In an unusual move I found myself speechless. This is a very quick post to give the true credit where it is due. June was a very busy month for me and I had a blog post scheduled to post it in July, but… let’s just say a couple things happened on the way to the theater. The timing felt a bit wrong. Great question Dear Reader. The original blog was a big Thank You, and I want to say that in earnest. The reason I received my award was for a lot of the work and presentations I’ve done this year. 32 presentations so far in 2014 with 9 more planned out and hopefully a couple more to come. These presentations don’t happen in a vacuum. I’ve been very blessed as a presenter and community member. 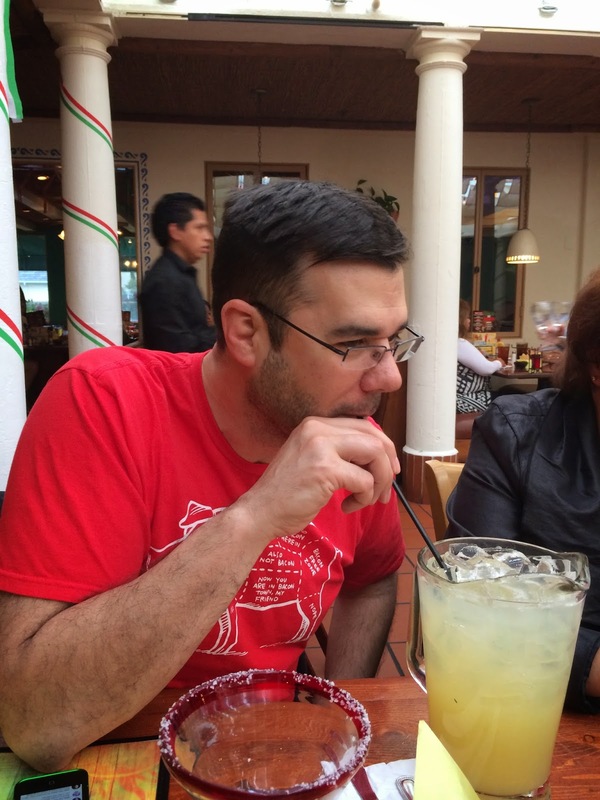 I’ve written recently about how SQL Saturday’s impacted my life. This year friends in the community invited me to new and wonderful locations. Mike Walsh (@Mike_Walsh| Blog) and 1/2 of my future law firm of Biguns & Balls Jack Corbett (@UncleBiguns | Blog) started out my January in New Hampshire from there I've presented physically and remotely in Florida, Puerto Rico, Massachusetts, Wisconsin, Missouri, Texas, California, North Carolina, Virginia, Oregon, Colorado, Georgia, with more before the end of the year. That doesn’t include Webinars where people from all over the world signed up to attend. If you attended, were forced to attend, dragged, cajoled, or otherwise persuaded to attend I Thank You. Dear Reader without you it doesn’t happen. For the organizers, who put in their time, put on events, get sponsors, volunteers, and manage the process Thank You. My time to present is a pittance compared to the effort it takes to lead a group and the hours that you put in. Many Thanks for letting me be part of your group. To PASS, the volunteers (the literally HUNDREDS of volunteers from SQL Saturday’s, program committees, Leadership Staff, down to the volunteer picking up coffee a noble and thankless job), Chapter Leaders, the employees whom I see and send emails to for the Summit or SQL Saturday’s, and all of those who I do not see Thank You. Your hard work helps create an environment that allows our community to thrive. There have been lots of fantastic winners already this year. 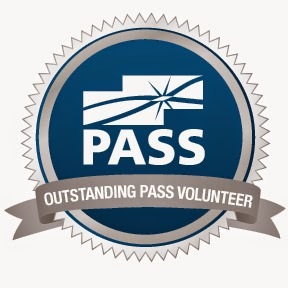 I encourage you to check out the PASS page of Outstanding volunteers here. 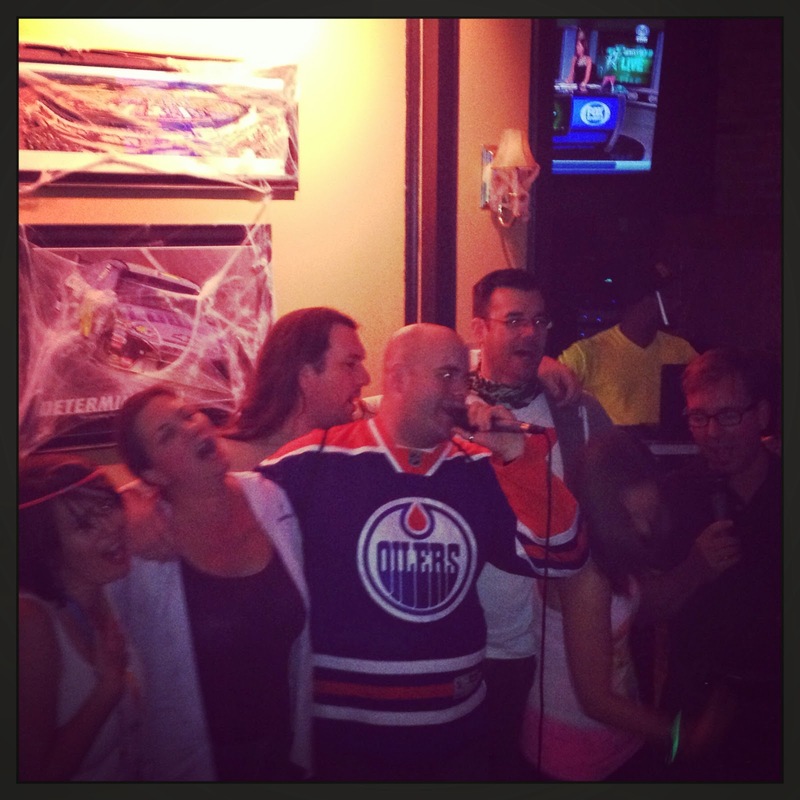 Chances are if you’ve been to an event this year one has touched your life. 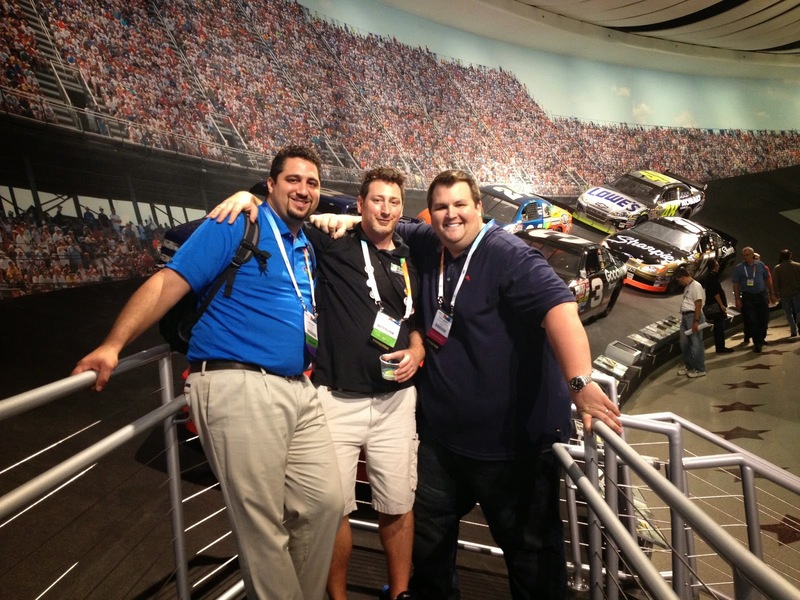 A Quick late-CONGRATULATIONS to my friend Shawn McGehee (@SQLShawn | OPASS) who is the August Outstanding volunteer. Shawn is the Chapter Leader for OPASS and has done an incredible job. 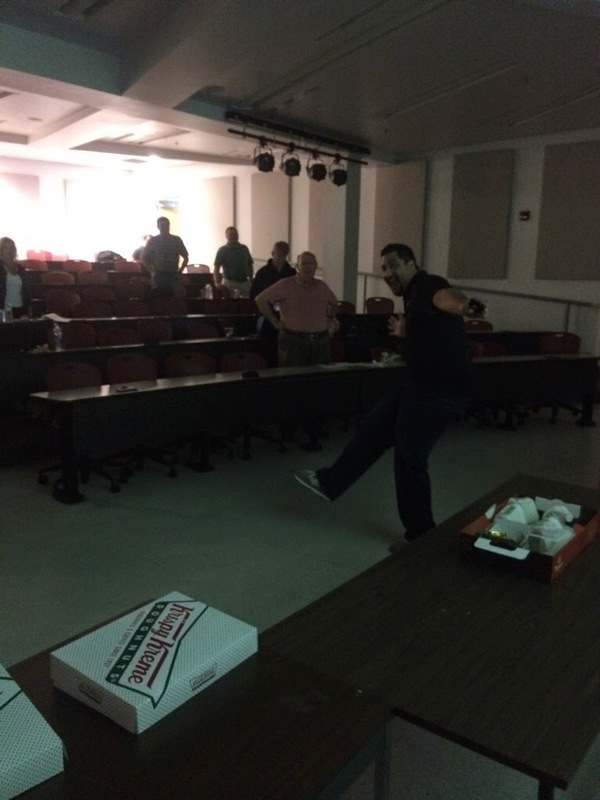 He is leading the charge for our Pre-Cons for SQL Saturday Orlando amongst many, many other things! Way to GO Shawn!! To my friend who nominated me, the beers on me. To anyone who wants me to present and I haven’t presented for you. If I’m in your area or you need a virtual presenter, shoot me a message on twitter or an email at bball@pragmaticworks.com I’m always happy to help. Why Yes Dear Reader! Yes there is one more thing, actually 4 more things. I got something big that I cannot share quite yet. In celebration of the community and the influence you’ve had on my life I want to give something back. So in October I’m going to blog a community script a week. These will be scripts that people have asked for, as I’ve presented that I never found the time to get out there, plus a couple new ones. One a week leading up to the PASS Summit in November. Hello Dear Reader! Last September I was approached with a tremendous opportunity to become the Managing Author for the Professional Microsoft SQL Server 2014 book by Wrox. We worked throughout the CTP phase and solidified the book after RTM. By the end of July all the pages were in, all the chapters proofed, and we all had a collective sigh of relief. I was joined in this book by Steven Wort, Ross LoForte, Chad Churchwell (@chadchurchwell | blog), and Jorge Segarra (@SQLChicken | blog) from Microsoft and Adam Jorgensen (@ajbigdata | blog), Brian Knight (@BrianKnight), Kim Hathaway (@sqlkimh), Roger Wolter (@rwolter50 | blog), Dan Clark, and Kathy Vick (@MSKathyV | blog) from Pragmatic Works. Tech reviewing the book we had Kathi Kellenberger (@auntKathi ), Jason Strate (@StrateSQL | blog), and my buddy Daniel Taylor (@DBABulldog | blog). The initial goal was to just update the book. It quickly became a project to gut and replace old ideas with newer material, a vision that continued to grow and should make the next release of the Pro Admin series drastically different even from this book. I couldn't be prouder of this crew. Roger Wolter is a former PM from Microsoft who helped write Service Broker, and has done some of the largest and most interesting implementations of it in the world. You will see his handy work on Chapter 6 on Service Broker and Chapter 8 on Securing the Database Instance. I worked with Jorge very closely before he joined Microsoft. He is an amazing guy, with a thirst for new knowledge. 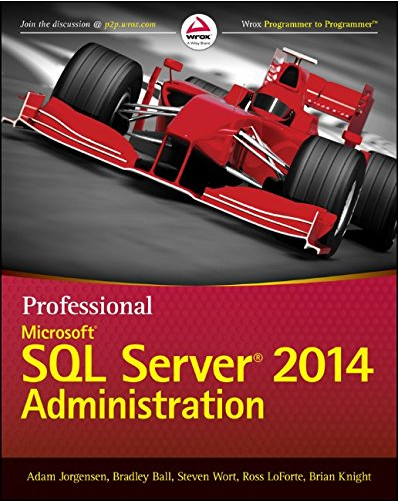 Jorge took Chapter 1 on the SQL Server Architecture and 24 on SQL Server Azure Administration and Configuration. My friend Kim Hathaway and I teamed up Chapter 2 Installation Best Practices and Chapter 3 Upgrading SQL Server 2014 Best Practices. 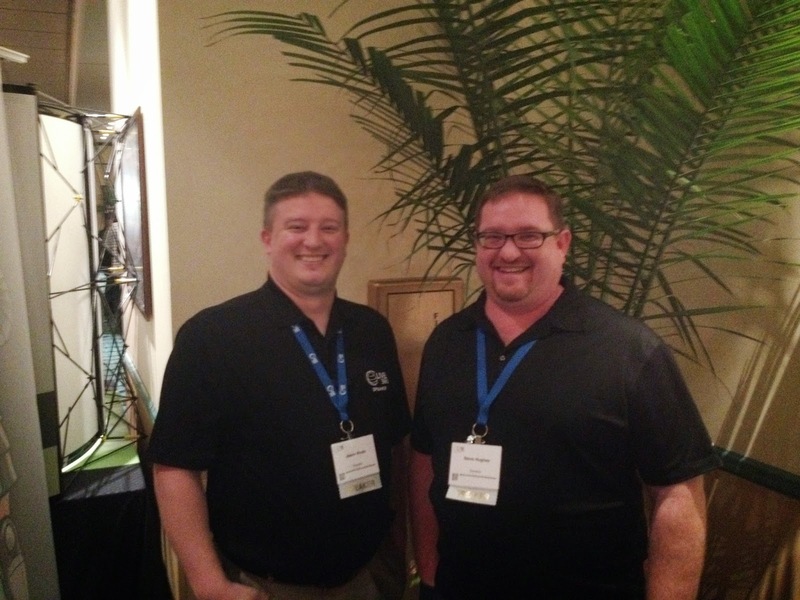 Dan Clark, .NET coding wiz and all around BI knowledge base, lent his talents to Chapter 7 SQL Server CLR Integration. Kathy Vick a former Microsoftie with two tours of duty, who has been working with SQL Server since it was still called Sybase prior to 4.2 has Chapter 13 on Performance Tuning T-SQL and Chapter 14 on Indexing your Database. Bradley Schacht did more than can be mentioned for the BI side of the house in this book. He wrote Chapter 23 on SQL Server and SharePoint Integration. Chad is a smart and amazing PFE for Microsoft. He joined at the last moment us to take over Chapter 16 on Clustering in SQL Server 2014 and provided a quick and solid contribution to help us over the finish line. Steven Wort, Ross LoForte, Brian, and Adam all produced the work that is consistent with what we have expected over the years. Superb. Then there's this guy. Mr. Balls. I was honored to be asked with working with this gifted crew. I wrote Chapter 4 on Managing and Troubleshooting the Database Engine, Chapter 9 In-Memory OLTP (Hekaton), Chapter 10 Configuring the Server for Optimal Performance, and Chapter 11 Configuring the Server for Optimal Performance. Hmmm....I sense a theme. The link to the book on Amazon is here. Just wanted to say Thanks again to the team that put this together! Look Mom & Dad, I'm on a Book!!! As always Dear Reader Thanks for stopping by. Almost 4 years ago I attended my first SQL Saturday, attending was a last minute decision and one that has changed my life. I have a real passion for SQL Saturdays, and while results may vary, my simplest answer is “they can be life changing”. Here’s how I got there. The only SQL Event I had ever attended was the first 24 Hours of PASS. I loved it. I watched with eager anticipation, this was the first SQL training I’d ever been to. Every company I’d worked for thus far had balked at sending me to training. I desperately wanted training. When I discovered the 24 Hours of PASS I became a fan, FREE SQL Training on the internet!!! What a concept! Of course it was to plug the PASS Summit, and if training was a no go you can guess what my chances of ever going to the Summit in 2009 were. ZERO. This was as close as I could get, but closer than I’d ever been before. 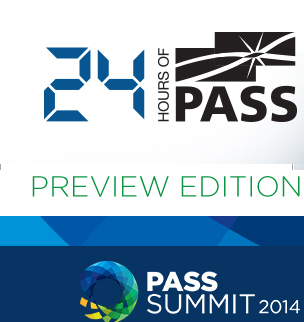 So as the PASS Summit 2010 was gearing up there was another 24 hours of PASS. I reserved conference rooms at my company, registered for the events, had a router for network connections set up, and I pumped up the “free” training to the other DBA’s. I worked for two days from there as the sessions were streamed. While talking with the other DBA’s that when the magic moment happened. My friend Greg and my buddy Dan Taylor (@DBABulldog | Blog) said, “If you like the 24 Hours of PASS you’ll love SQL Saturday”. What’s a SQL Saturday I asked? A free event where Consultants, MVP’s, and SQL Community members set up tracks and have free presentations all day long. I was stunned. It was like I was a child hearing about “FREE CANDY” given out at Halloween for the first time. Where was this? When was this? This weekend! In Orlando! I can do that! I had to pay $5 for my lunch, but other than that no cost. I almost felt like I was getting away with something. As if someone would stop me at the gate and say, “Sorry Sir, you get to sit in the lobby only paying attendees get to see the sessions.” It didn’t happen. I got in just fine. It was everything I’d wanted. Sessions on Wait Stats, PBM, CMS, Indexing, two deep dives one on partitioning and another on CPU! I met DBA’s that understood my pains, issues with hardware stressed beyond capacity, aging relic’s with critical LOB apps that we couldn’t get new hardware for, 3rd party vendors with bad indexes, bad code, and little support. People trying to find a way to survive with NEW insights and experiences sharing openly and free. People who understood my issues without having to pretend that they actually understood. 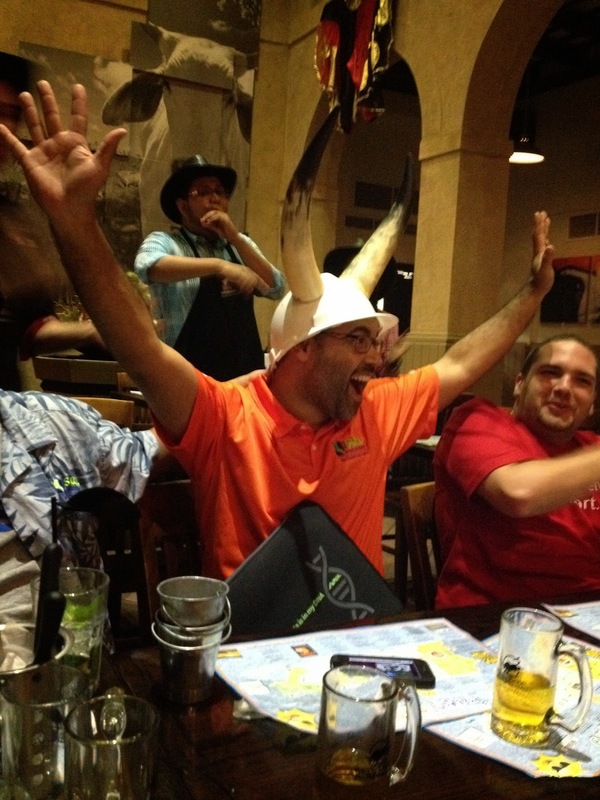 I met Tom Larock (@SQLRockstar | Blog), Argenis Fernandez (@DBArgenis | Blog), Jorge Segarra (@SQLChicken | Blog), Patrick LeBlanc (@PatrickDBA | Blog), and 1 half of my future law firm of Biguns and Balls Jack Corbett (@Unclebiguns | Blog). There were more. Lot’s more. That could take me pages more. The point is I made it and it was like coming home. That day started it off. Without Kendal Van Dyke (@SQLDBA | Blog), Andy Warren (@SQLAndy | Blog), Karla Landrum (@KarlaKay22 | Blog), and Jack putting on this SQL Saturday 49 I’m not here today. I submitted to be a speaker at the next event I could, I started a blog (you may be familiar with this one), got on Linked-In, and even got a Twitter account. That event, that one SQL Saturday lead me to presenting at 7 more the next year. Getting a spot in the 2nd chance track at SQL Rally, getting voted in by the community at the PASS Summit 2011, and being invited to be on the planning committee for SQL Saturday Orlando #85 the following year after I’d first attended. 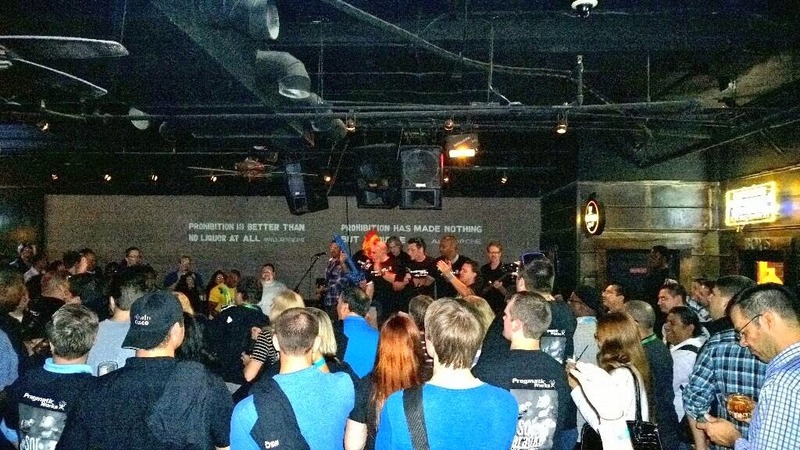 At the end of SQL Saturday Orlando every year we stand up top of a stair case and throw out t-shirts and give away raffle items. In 2012 Andy Warren looked at me while we were tossing out t-shirts and asked “How’s the view from up here?” I grinned imagining about 50 different replies, but in the end it was a simple “amazing” that left my mouth. My second job after college took me to Virginia. A friend had recommended me for the position. He met me at the airport, as I flew in for my interview, so I would see a friendly face. I thanked him. He told me “I showed you the door, you have to walk through it”. He was right. I did. That job taught me a lot and led me new places. SQL Saturday was the same way. It showed me the door. Walking through it brought me new acquaintances, some new friends, new ideas, to SSUG’s, the PASS Summit, Dev Connection in Las Vegas, SQL Live 360 in Orlando, two books, and a pretty awesome job at Pragmatic Works. This is just the journey so far. Funny how close yet far away 2009 feels. There is always the question, Dear Reader, of where tomorrow will take you. We all start somewhere. Everyone has to have the first time. That brings us back to the question. Why should you go to SQL Saturday? Because they can be life changing. Hope to see you at one soon, click here to register for Orlando.